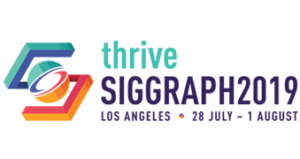 Within the context of the annual SIGGRAPH conferences, the International Resources Committee produces audio guides and written transcripts of works shown at the VR Village. Presented in different languages, these allow the works to become accessible to our international visitors, as well as anybody who is unable to attend the conferences. The files also serve as archival reference for future interest and investigation. We hope you enjoy this description of fabulous technology works. Special thanks to the following, for translating, reading and producing these audio guides: Dolly Omisore [English], Muhammad Arief [Bahasa], Muhammad Arief [Japanese], June Kim [Korean], Kim Baumann Larsen [Norwegian], Dagmara Ziemianska [Polish], Aruquia Peixoto [Portuguese], Diana Arellano [Spanish], Tomasz Bednarz [production]. English, Bahasa, Japanese, Korean, Norwegian, Polish, Portuguese, Spanish.